Officer Jobs and more jobs of various government departments in Uttar Pradesh. 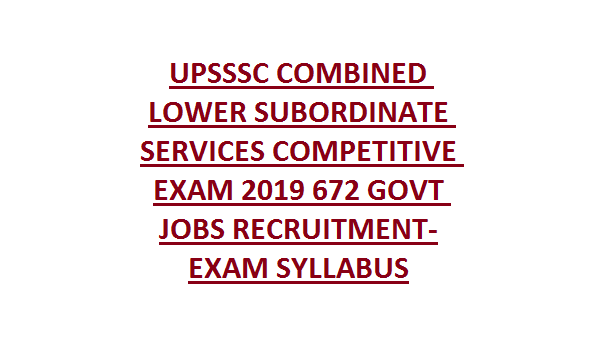 There are total 672 vacancies available in this Combined Lower Subordinate Services Exam 2019. The candidates who are eagerly waiting for these vacancies they may apply online on or before 19/02/2019 in Uttar Pradesh Subordinate Services Selection Commission Official web site. 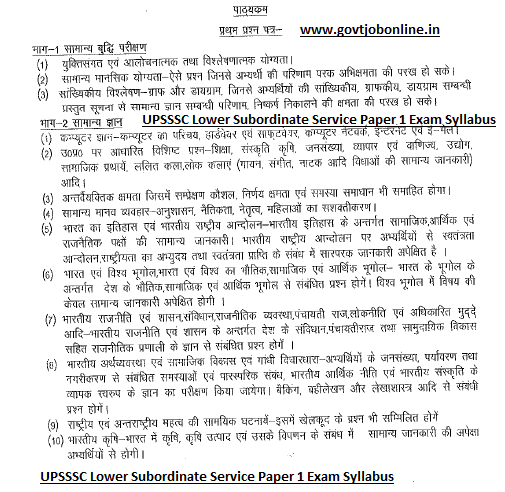 Check here for UPSSSC Combined Lower Subordinate Services Competitive Exam II 2019. Application fees for the General and OBC Candidates is Rs.200/- and Rs. 25/- for online process. For SC/ST Rs.80/- application fee and Rs.25/- online process. As on 01-07-2019 age limits are 21-40 years. For the posts of District Information officer age limits are 18-40 years. For SC/ST 21-45 years and OBC 21-43 years. Selection for these vacancies will be held through Lower Subordinate Services Exam and personal interview. Paper 2 will be conducted for 50 marks and 1 hour duration. Applicant has to submit through online only. On clicking notification section in Uttar Pradesh Subordinate Services Selection Commission it will redirect you to the latest notifications page and click on candidate registration section. Then the application will open. Fill the online form after reading the user instructions carefully. Then submit the application form it will generate a challan form to pay the amount for exam in State Bank of India. After paying the amount in bank the challan number and payment details has to be enter in to application form. Then complete final submission on or before 19/02/2019. 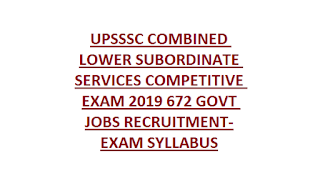 This is all about the UPSSSC Combined Lower Subordinate Services Exam 2019. Please share this information with your beloved friends through social media and help them to achieve the government job Online. For more details please write a comment below. And stay with us for more latest notifications.